For 2013, I’m making three resolutions. One each for personal development, family leadership and workplace leadership. Is it in line with God’s call on my life? Am I the only one who has influence in sticking with it? Does it help meet established the goals I’ve set in my life plan? Is it the next logical step? Write myself an email using www.futureme.org about the “why” behind the new resolution. I set it to arrive 1, 3, 6 and 12 weeks in the future. Next I identify the greatest challenge to being successful and, if possible, develop a plan to address any challenges. Other people can influence us to failure. We loose focus on other goals we are already in the middle of achieving. We give to much focus and attention to the new thing. We forget to maintain other established healthy habits. We don’t plan for success. Just a small bit of planning can take us the distance. We don’t consider the reason behind the reason. Which is always a spiritual issue. After all, we are spiritual beings having a human experience. Address the spiritual need and you’ll fulfill the human desire. We forget some is better than none. If you miss one day, one goal, one anything…it’s normally not a goal or resolution killer. I’d rather start over 50 times then fail permanently. 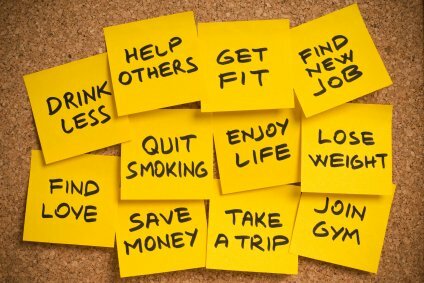 How do you plan to stick with your 2013 New Year’s Resolutions? What do you consider when setting goals or New Year’s Resolutions? Reading in an email or RSS reader? Comment by clicking here.